Der Artikel Opprobrium: Supernatural Death wurde in den Warenkorb gelegt. Death Metallers OPPROBRIUM announce their new reissue album, SUPERNATURAL DEATH for release through BRUTAL RECORDS. Supernatural Death sounds illustrious in its original form, in nicely thrown together digipak with a terrific crushing sound. Re-Mastered by Brad Boatright Mastering Engineer, a self-described »musician's engineer«, has mastered many notable albums, including the reissue of Sleep's monumental »Dopesmoker« LP, as well as records from Corrosion of Conformity, Nails, Beastmilk, Obituary, Yob, and more... It's time for a real classic! Yet some of you might have never heard the name OPPROBRIUM before. But I'm sure the name INCUBUS rings a bell, because that's the moniker this band used to have before and under which the band became known. The band was founded in 1986 in New Orleans, Louisiana by the brothers Francis (vocals and guitar) and Moyses Howard (drums) with Scot Latour (bass and vocals). 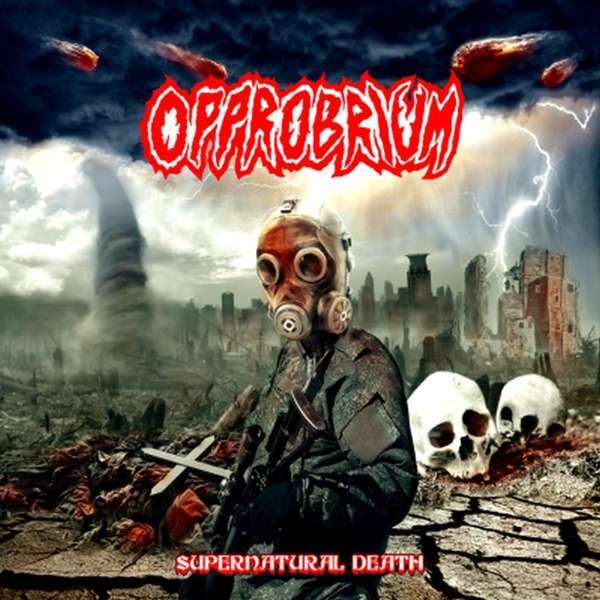 OPPROBRIUM »Supernatural Death«, with 14 remastered songs + 2 bonus songs »Cursed of the Danned City« and »Fear of the Unknown« which will leave you breathless from the first track »Battle of the Armageddon« ›til the last track »Death«, the band really out done themselves with their new material for the album, as they proudly states being one of their »Best work to date«, meaning that every single song of the album must be played live if possible on stage. The new album shows OPPROBRIUM going to uncharted territories in their song writing, taking a lose approach to their music with no rules or boundaries, trying everything from melodies to hammer blast beats, with more complex song arrangements by drummer Moyses and front man Francis, a much heavier album by the band, even surpassing their classical debut »Serpent Temptations«. 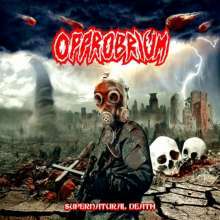 »Supernatural Death«, another great Death/Thrash metal onslaught by OPPROBRIUM, will sure please old and newer fans of the band, the album is gaining great reviews from by the media and the fans response is being fantastic. »Supernatural Death« touches on very emotional subjects such as orphans to the mental trauma that each of us human beings face daily. Cult Demo Recordings from 1987! Legendary death metal band from Metairie, Louisiana. Founded in 1986 by brothers Francis and Moyses Howard under the name Incubus. The original incarnation featured bassist / lead vocalist Scot Latour, and the trio's 1987 demo Supernatural Death landed them a deal with the small Brutal Records imprint.